Halloween Version of Guardians of the Galaxy: Mission Breakout Opening Fall 2017? By now, you’ve probably heard about Disneyland’s annual Mickey’s Halloween Party expanding to Disney’s California Adventure for the 2017 season. 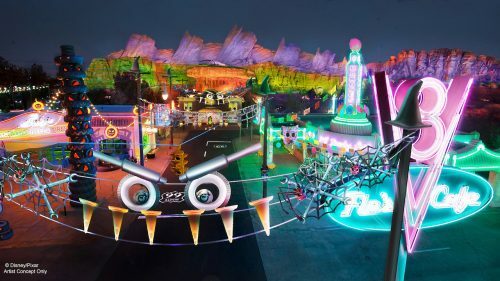 As announced at the D23 Expo, Cars Land will get a Halloween makeover just in time for the start of the Halloween parties. Two attractions will get their own unique seasonal make-over where Mater’s Junkyard Jamboree becomes Mater’s Graveyard JamBOOree. Plus Luigi’s Rockin’ Roadsters will be temporarily transformed to Luigi’s Honkin’ Haul-O-Ween. However, if my sources are correct Guardians of the Galaxy: Mission Breakout will also feature a new Halloween overlay of its own. 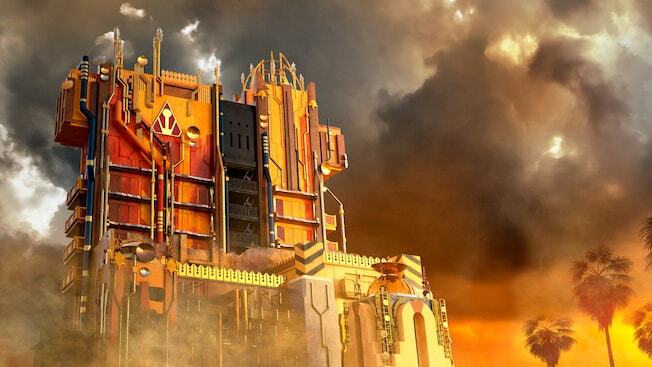 Yes, even though this attraction only debuted a few months prior, Guardians of the Galaxy: Mission Breakout has a solid chance of getting a new seasonal version and it should be coming very soon. Even though, according to Bob Chapek, the new attraction is currently the highest rated in Disneyland. However, one of the reasons the ride replaced Tower of Terror in the first place (aside from a more popular intellectual property) was to make it media based. Thus, you could swap out the films played throughout the ride for a new adventure. You could base it on a new sequel or even make a seasonal version just like we have seen with other rides like Space Mountain. If my sources are correct, this new seasonal version of Guardians of the Galaxy: Mission Breakout will be based around Groot who knocks the power out of the building on accident. You see, we as guests are sneaking in after the facility has closed and everyone has gone away for the night. You know all those glass cases that the Collector has scattered around the lower level of the queue? What if some of them contained monsters that just so happened to spring loose and cause a little chaos in the gantry lift because their electronic force field lost power? Madness I tell you. I can’t go into too much detail as I’ve already said too much. 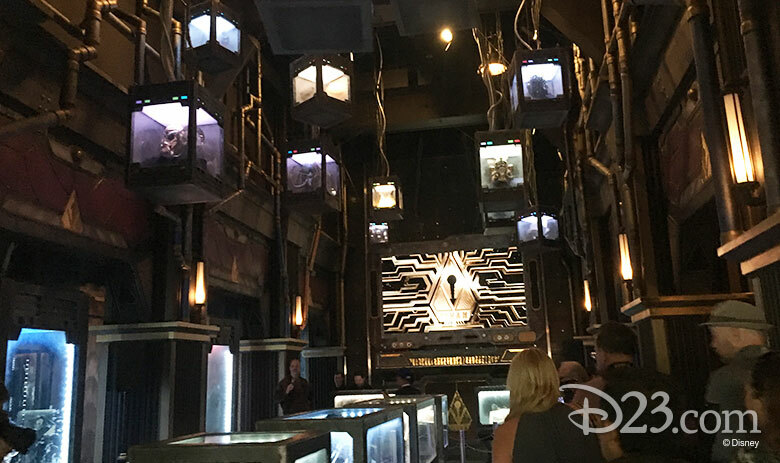 You’re probably wondering: why wasn’t this Halloween makeover for Guardians of the Galaxy: Mission Breakout mentioned at the 2017 D23 convention? That’s because apparently, Disney is saving this announcement for the 2017 San Diego Comic Con. Keep in mind: San Diego Comic Con is where Guardians of the Galaxy: Mission Breakout was announced in 2016. Thus, it only makes sense to announce its first seasonal overlay at the same convention filled with Marvel fans. Will this come to be? Stay tuned this weekend at San Diego Comic Con and find out! This entry was posted in Disney and tagged Disney's California Adventure, Disneyland, Guardians of the Galaxy: Mission Breakout, Halloween attraction, Mickey's Halloween Party. Bookmark the permalink. Trackbacks are closed, but you can post a comment.